Dr. Kinner attended medical school at Michigan State University in East Lansing, Michigan. 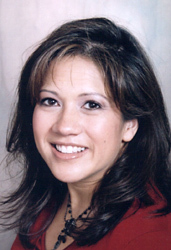 She is board certified by the American Osteopathic Board of Internal Medicine. Dr. Kinner has an emphasis on comprehensive and preventive care as part of Diab, Kinner Internal Medicine, PC. Dr. Kinner provides ... Read More a comprehensive evaluation and treatment of internal diseases including diabetes, hypertension, thyroid disorders, and bariatric medicine with ancillary and subspecialist support.